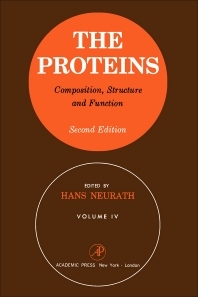 The Proteins: Composition, Structure, and Function, Second Edition, Volume IV covers the significant developments in understanding the relationships between the composition, structure, and function of proteins. This three-chapter volume deals first with the genetic determination of protein structure and with the effects of mutational alteration on the structure and function of proteins. A highly relevant aspect of this topic is the change in protein structure during evolution and cell development. The second chapter describes the basic structure of several glycoproteins, such as orosomucoid, egg albumin, and submaxillary gland glycoprotein. The third chapter highlights the features of composition and arrangement of the group protein, which impart the capacity to perform their physical function. This book is of value to organic chemists, biochemists, and researchers in the protein-related fields.